The 2017–2018 Guitar Series presented by San Francisco Performances (SFP) has departed from the usual solo recital format in variety of interesting ways. The series began with the SFP debut of guitarist Jason Vieux, who shared the stage with Julien Labro playing bandoneon (also making his SFP debut). Then, exactly a month ago, SFP presented a “dynamic duo” program featuring the return of two familiar guitarists, Eliot Fisk and Ángel Romero. At the end of the month, the series will conclude; and no guitars will be involved in the performance. 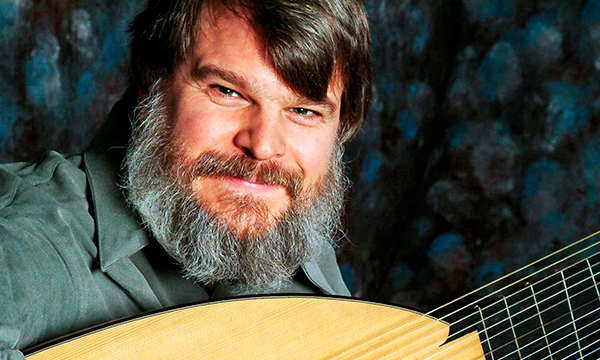 The soloist will be lutenist Paul O’Dette, who will be making his SFP debut. O’Dette has prepared a program that will be devoted entirely to the Renaissance. Much of that program will be devoted to John Dowland, along with several selections by two lesser-known composers, Daniel Bachelar and John Johnson. Note that not all of these selections will necessarily be “compositions,” since the Renaissance was a time when making music could just as easily be a matter of arranging familiar tunes as one of inventing new ones. O’Dette will also play a collection of Scottish tunes taken from a book of lute music compiled by Sir William Mure of Rowallan, as well as a set of popular tunes whose sources are unknown. This performance will take place in St. Mark’s Lutheran Church beginning at 7:30 p.m. on Saturday, April 28. The church is located at 1111 O’Farrell Street, just west of the corner of Franklin Street. Tickets prices are $55 for the Orchestra and $45 for the Balcony. Seating will be general admission. Tickets may be purchased in advance online through a City Box Office event page.